How come we find ourselves caught in a web of politically correct speech? Everything seems to have been transformed into a rigid morality - a revival of puritanism worse than the traditional "religionistas". In the name of proper speaking we must endure sensitivity trainings on race, on sexual harassment, on gays, on unfamiliar religions. Decency and normal good will are not enough. Now we must all hold our mouths in the right way or be damned for our motives. Bill Whittle of PJTV puts together a history or how political correctness has come about. I'd never heard this before and find it illuminating, opening many avenues for research and questions. You will find the video here. Act Now or "One Day You Will Tell Your Grandchildren What America Was Like When Men Were Free"
We now see the little man behind the curtain. The hard Left Democrats fronted by President Obama are going for bald force. The debate is over. A war over who holds the ultimate power in the government and in your life has begun. Will it be the Progressives who consider it their destiny to shape society to their will or will it be the People who possess unalienable rights in a republic? Any consciously freedom-loving person has felt the onslaught of anti-freedom actions by the government - not just this year but for many years past. It has been my lot to be a canary in this coal mine - screaming and squawking whenever I see freedom infringed. As in any serious inquiry, the causes and choices must go to the deepest level. Once you hear the melody of freedom, any note to the contrary puts out a sound off pitch. Sometimes the off pitch sounds become so numerous and loud that they get heard by many. That is what is now happening. This evening the New York Times is reporting that the President and Congressional leaders plan to go it alone on their health care bill. Since this leadership includes Henry Waxman, Nancy Pelosi, and Harry Reid, and we have seen their hysterical response to the growing concerns of many in the electorate with the various bills introduced so far, I am deeply concerned. Despite massive and growing resistance and incontrovertible declines in the popularity of their positions, they plan to take the gloves off and pass something, anything to be able to declare victory. For that is what this is all about now. Better, more widespread health care is not the issue any more. This is the most craven of partisan politics. In 1962, Hannah Arendt, in writing about Adolph Eichmann, the architect of the Final Solution, tried to understand the phenomenon of pure evil. Having been a good German who lived under Hitler until her life was threatened, she escaped the Holocaust. These were her people who did this thing. She was desperately trying to understand how the German people would participate in such horrors. “The Banality of Evil” was her description of the way in which ordinary people accepted the orders of their leaders and committed such crimes. The defense of “following orders” was disallowed by the International Military Tribunal in Nuremburg, who stated that following illegal orders was not a valid defense provided a moral choice was possible. So what does this have to do with health care? Please allow me to relate a true story. Today seems to be my day for such if you have read my earlier blog. I had a relative in England who died less than three months ago. I will relate her story. She was never in the best of health, but contracted tuberculosis a few years ago in her late 50’s. Since treatments are weighted in the National Health Service, it was determined that her care would not have a high priority. Her children were grown and did not need a mother’s care. TB treatment is expensive, and there is a limit in the UK of GBP 45,000 per patient per year excepting extraordinary cases. Someone somewhere sat down at a desk and factored in all of these variables. This treatment was delayed as are many kinds of treatment in the UK. Then 3 years ago, in a weakened state, she contracted cancer. Once again, the actuarial tables were consulted, and she received only limited care. At that point it was only a matter of time. She survived much longer than anyone would have expected. Other illnesses attacked her body. And then, one day, she finally passed on. There were steps in this process. There were procedures and guidelines. And decisions made to limit treatment. In the United States, she would have had immediate and aggressive treatment for tuberculosis by government order. She probably would have stood a much better chance of surviving much longer with a reasonable quality of life. The fact is that today, our government is highly constricted in its financial options. We have already indebted ourselves to a point where we can no longer finance that debt. Medicare, according to the Congressional Budget Office, which is controlled by the abovementioned leadership, will go bankrupt in 8 years. Social Security is predicted to do the same in the 2030’s. The CBO also has calculated that any of the bills now under consideration would cost as much as $1 trillion. So we have the two largest safety net programs yet undertaken by our government bankrupted by irresponsible government borrowing and poor management, and Congress own accountants predicting runaway costs. The president cited the Post Office as a comparison in speech to his undefined health care proposal in Portsmouth, NH last week. How can he and our leaders fail to see the analogies? How can they fail to see the potential for collapse and the terrible pain it might cause? This should be one of the most serious discussions of our time and there is no discussion. The warning signs are all around us. We are faced with a health care system that needs reform. So many issues have been identified in the public debate that serious, measurable reform may now be possible. Ideas are coming from all sides. And yet we are faced with a pigheaded, partisan leadership that is basically preparing to tell the rest of us to go to hell and ram through another highly defective piece of legislation without scrutiny and without debate. The financial system bailouts and Stimulus Bill and Cap & Trade bill all point clearly towards where this will end up. The Administration and its supporters have vilified the concerns of many about end of live panels, and yet this is a fact of life in the UK already. Somewhere far removed, bureaucrats make life and death decisions based on the numbers. With all of its faults, our current system values life much more highly. One of the chief theoreticians they seem to be listening to, Dr. Ezekiel Emmanuel, the White House Chief of Staff’s brother, has openly discussed the “life value” of infants and the elderly, noting that a child is not really self aware until the age of two. This is a very, very dangerous discussion. One of the fundamental virtues Americans have always held is the value of life. Whether it is in the care for sick infants or the billions spent on AIDS research or the heroic measures in the operating room on an inner city gunshot victim, or on the battlefield where our troops are indoctrinated with “no man left behind”, or our fundamental obligation under Medicare for the care of our elders, we have almost always managed to do the right thing. We make herculean efforts to do so. There is a preferential option for the weak in our culture that we must never lose that is based upon our humanity and our faith. Or do we, like Eichmann, simply shirk responsibility by saying we were only following orders? Time to Put Her Down. Can't Pick No Mo Cotton. Government Health Care is the ultimate power of life and death over the individual. Once this noose is around the people's necks, individualism, individual rights and political freedom are done in America. No doubt about it. We will then be the pawn, the serf, the slave. Government Health Care has no choice but to bring the "care" it dispenses into line with the taxes it collects to support it. Since everyone will have access to it, the demand will be unlimited and the resources limited. There is ZERO possibility that government can avoid this matter. And the results will, of necessity, be that it, not you, will make the critical choices. Further, it will make those choices based on policy, not individual cases. Medicare and Medicaid are government programs - big government programs. But because there is still a free market in health care even though severely damaged and constrained by government interference since 1965, a person who makes use of Medicare or Medicaid does not have to go to a doctor that will treat Medicare or Medicaid patients. No matter how poor he is, if someone values him/her, that person can take him to a free market doctor. It is still possible for him to get the health care he needs. 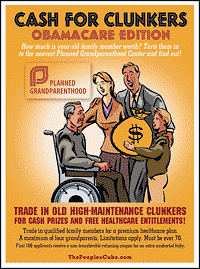 If he has some means, he can buy an insurance policy to cover that which Medicare does not cover. With Government Health Care, this will no longer be possible. 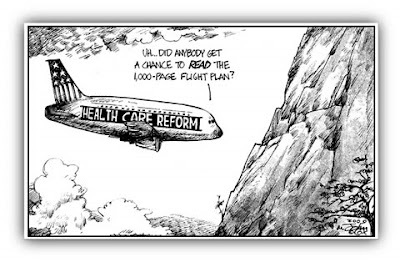 Yes, President Obama is saying that he does not want to do away with the private option. He is LYING. Why do I accuse him? There is nothing in his past statements where he has not pushed for the single-payer, total Government Health Care system. As the heat gets to him, he is trying to have us think otherwise. He may no longer be holding out for this year, but he definitely intends that the government eventually - baby steps if necessary - have its single-payer system. He has said so many times. And no matter what the terminology - single-payer, public option, coop plan - all are intended to put us on the merry path to having government as our only health care provider. When the government is in an industry, it causes distortions in that industry which, depending on their extent, can cause it to eventually collapse whereupon people advocate government stepping in and taking it over. It causes this because it is not constrained by the laws of economics. It's law is politics. It passes a law and throws millions of dollars at something and there is nothing that the competitive businesses can do except to reshape themselves around this "uneconomic" intrusion into the market. Instead of choosing a business or an employee or a customer by his merit, we now choose it or him because of his skin color or his economic class or whether he is a member of a union, etc. All of this deteriorates the standards and productive capacity of the market place and can cause it to get so rickety that people cry for the government to take it over. That's what happened to autos and banking. That's what has caused the mess in health care. I have no doubt that Obama wants to change health care to be more political than economic. Isn't socialism the idea that everything is political and nothing economic? He's been consistent on this message from the beginning of his time. Consequently there is no reason to suspect that he is trying to free up health care nor make it better. Only markets care about something being better. Only they have such an incentive. So how will the government decide who gets the care? By what means? Who will get real health care and who gets to live? It will have a policy which will distribute health care. Already policy advisers are discussing such criteria. The English system, the one some have favored, cuts back the money it will spend on a person based on how long the actuarial tables tell them a person, given his age, is expected to live. Since end of life expenses are often, not always, the most expensive, these are the ones most rational to cut back on. The statistical tables tell us nothing about the character or quality of the person in question. A 75-year old genius working on a book which opens a whole new possibility for mankind may be able to complete the task if given proper health care. Obama and Government Health Care would have no knowledge of this. It doesn't care. The man's friends might, but under Government Health Care, there will be no private market and they won't have the option of accessing it. They would have to leave the country. Millions of people will not have such an option and some will die or be left to die by the government's hand. And the crime of it is that it would not have to have been this way. "You understand how it is. I'm sorry. It's time to let 'im go. Too old. Can't pick no more cotton". America knows what this is. THIS IS SLAVERY - in another form. You work and what you earn is siphoned off by the Government to maintain the power it has over you. Government Health Care is the "muther" of all programs. It's the one that has the power of life and death. Freedom is mankind's friend. It releases production - the principle that produces abundance. The constrictions and distortions of the health care industry and market which came about because of The Great Society's programs in 1965, and the government regulations to which the insurance companies responded need to be dismantled. At this point in time, it is hard to imagine that the safety net is not going to be provided by the government. Even this is a huge mistake. It will allow the situation to get still worse. It should, as all economic activity, be entirely private and free - which would make sure it stays at the level of a "safety net" and provides the competition to keep health care goods and services reasonable and at the same time foster innovation. As a welfare program, the illusion is still maintained (which my Congressman, John Lewis advocates, by the way) that health care is a Right. If it's a Right, then you and I are his and the government's slave. This is why I say that the man who marched in Selma has now turned the tables on us and is wanting to get hold of the fire hose and the police dog. 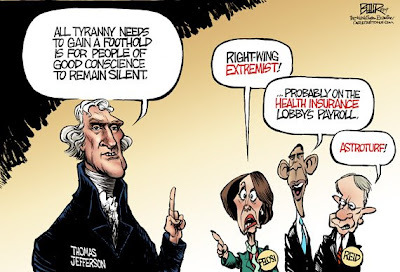 When I hear Obama or his former doctor or anyone blasting insurance companies, I know they are up to no good. A few months ago, it was Wall Street. And then it was those car companies whose executives he replaced. With politics as it is now configured, there always has to be someone to demonize so that the government can arrogate more power unto itself. Look at history. Do not your eyes tell you this is so? The way out of this is for the government to get out of the way - to allow free minds and free markets provide what they do so brilliantly. Separate Economy and State just as we separate Church and State, and for the same reasons. The government's proper job is to prosecute criminals - those people who are crooks - who steal, cheat, or are incompetent and irresponsible to the point they harm a person. Regulation to forestall harm is a red herring. No government can do it and it takes their eye off the ball of prosecuting the crooks. I will make a prediction. If we end up with Government Health Care, you will not trust your doctor nor the health care system in general. Why? The tune to which it dances is not you nor your needs. All that will be said in hours upon hours of boring TV announcements about it will be beside the point. The basic and prime relationship of you to your life will have been stolen from you. No one, be it Jesus Christ himself, has this right. Although this was created in April by Andrew Klavin, it's now even more apropos. Combine this with the intimidation tactics of the SEIU and ACORN goons in Tampa and St. Louis, and the call by the White House to send it any emails you have gotten with something fishy about the health care plan and people are getting the message. Never have people been so unheard, so mocked, so ridiculed and misrepresented as is going on now with this government. And guess what? People are not just mad; they are god damned mad. And it cuts across all lines of the culture and political parties. Leah from New Hampshire expresses the frustration pricelessly. The graphic artists and cartoonists are getting on the bandwagon too. These are from The People's Cube. The thing that is so missing in Obama is leadership. He cannot help himself and resorts to partisanship - over and over and over. The idea that he is a leader of all the people of this country is anathema to him. As a consequence, he comes off as a teen-aged lightweight in matters important to people. He creates Jerry Springer drama where there should be none. Every time he does this, he shears off more of his supporters. In the clip, he doesn't say who "caused this mess," leaving that as a piece of red meat for the Bush-haters. Although Doctors were licensed by the government prior to 1965, which was an intrusion against political freedom, there were no health care programs. Lyndon Johnson the Medicare and Medicaid programs made law and that was the beginning of the devolution we now find ourselves in. At that point health care became transformed into a right and now many, fanned by the "victimologists", demand slaves to pay for it. Is he as unintelligent as his actions suggest? Or does he have a purpose? Is it winning the day for socialism once and for all to transform America into non-America? Whether this is his purpose or not, he provides a huge opportunity for all those who disagree with him. Many people of all colors, ethnicities and luke-warm ideologies were willing to work with him, but are now changing their mind. Under the bus, people are sorting themselves out and the country could emerge more consistently freedom-oriented than ever before. I welcome this battle of ideas. Just notice how bereft of ideas the "anti-freedomites" are. It is heartening. Now, if we can only get people to use their minds, their basic tool of survival as a human being. That would be one hell of an achievement. The enemies of freedom are identifying themselves. If you value political freedom, the most consistent identification and defense of it that I've read is Ayn Rand's "Man's Rights" and "The Nature of Government." Both appear in The Virtue of Selfishness, her book on ethics which was originally published in 1964 by New American Library. It's been published in other forms since then and you can check it out by clicking on the Amazon ad in the sidebar of this blog. This video exhibits exactly what is going on everywhere regarding the issue of health care. PEOPLE ARE NOT GETTING HEARD! My position given that I'm over 65 and have Medicare is that I will gladly take freedom over Medicare. The health care market is wildly regulated - at the federal and state level. Years ago doctors sewed up a monopoly for doctors by getting the states to license them. Through professional exams, the doctors are able to control the number of practicing physicians which yield big incomes for doctors. To this day, doctors, via the AMA's lobbying in Congress and the states, fight all kinds of ideas for health care to be easily and inexpensively accessible at pharmacies, from Sam's Club to grocery stores. Insurance company competition is controlled and regulated by the states. Politicians get benefits of financial support by the approved insurers or those wanting to be approved. If you move to another state, you may have to get a different insurer and you certainly are subject to the laws and government imposed costs of that state. The tax code further complicates matters. People who get their health care insurance through their work get a tax credit, those who don't have to pay in after-tax dollars. Hospitals are tied hand and foot. And then there are law suits. Law suits yield outrageous amounts for plaintiffs who suffer at a medical care professional's or institution's hand. The tort laws and potential lawsuits put tremendous pressure on doctors and hospitals to have multiple tests to prepare in advance should they be sued. Liability insurance is outrageously costly and we have to pay for that when we go to the doctor. This whole mess unleashes a cavalry of ambulance-chasing lawyers. Medicare and Medicaid are runaway programs that punish the healthy to pay for the sick through taxation. All of this obscene control, regulation and taxation has one source - the government. The health care industry is tied in a bureaucratic knot and it costs a fortune. Now they have ruined the industry, they expect it to be fine once they take it over completely? Are you kidding? They are not addressing any of the real problems and President Obama won't even talk on that level. As government's head he takes no responsibility, always finds someone to blame and makes unfulfillable promises. He lies and thinks if he does it in the right manner, it works. There is no way in hell he will be able to make happen what he says. Watching his older video clips, you see that he has no intention to make his promises happen. Rather he has something else in mind - a single-payer system. Here. It's socialism or bust for Obama - maybe baby steps for now, but always to the same end. (Now he says that "if we were starting from scratch" he would advocate a single payer system. Since there are always some health care services in existence in a society, no one starts from scratch.) For an advocate of political freedom, the truth is, he IS the joker. If we cannot get heard now, why will the government have any interest in hearing us once they have final control of our very bodies? The real issue is as the 61-year old gentleman in the video states. It is LIBERTY that is threatened and to place the government between you and your body is the most threatening of all threats to our liberty. No one has called me and tried to orchestrate anything but I am certainly in the market for a full-throated, sign-bedecked protest. You bet! Is it Race or Class? Both Collectivist! I read this article by Sultan Knish. You can go to the website by clicking on the title of the article below which is a link. I think this interpretation of the Gates episode makes the most sense of any I've read. The issue of race which Obama seeks to keep in place covers a much deeper power issue - not the earned power, be it economic or intelligence, of individual citizens developing themselves, but the political power of a some individuals over others. 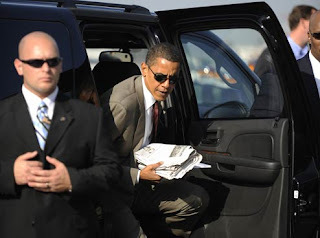 Obama has, in every way he can, manifest the trappings of an imperial presidency. The one thing he cannot see and will have to learn the hard way is that he has to earn it - not by rhetoric, but by results which work. He's not merely weak in this area, he eschews it as necessary. Why? He won. 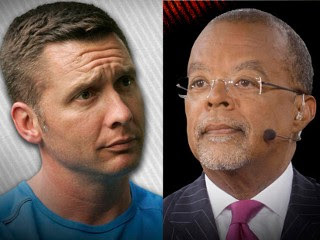 In the wake of the Gates arrest heard 'round the world, the media, Obama and of course Henry Louis Gates himself, have done their best to position this as a black and white incident, the collision of two men divided by race. But in fact the arrest of Henry Louis Gates was not about two men divided by race, but two men divided by class. Henry Louis Gates was not arrested because he was black. He was arrested because he was a famous man who felt entitled to tell off a middle class police officer, warning him, "You don't know who you're messing with." Those are not the words of a powerless victim of America's racial oppression. They're the words of an important man who was warning the low paid city employee he was dealing with, that he was too prominent to be touched. And indeed the remaining narrative, which moved from a media firestorm over a simple arrest, to a supportive statement from the White House, proved Gates right. Crowley indeed didn't "know who he was messing with". He was messing not with a black man, but with a rich and important man. A man who was above the law. Had Gates been arrested because he was a black man, there would have been no media response and no attention from the White House. Had Henry Louis Gates been a plumber or an associate professor whose name wasn't listed in Who's Who in America, with three names, and a list of titles and awards long enough to choke a whale-- his arrest would never have made the news. Nor would Gates have acted the way he did. Once arrested, Gates and his defenders cynically used race as a smokescreen to conceal the real issue, which was class. 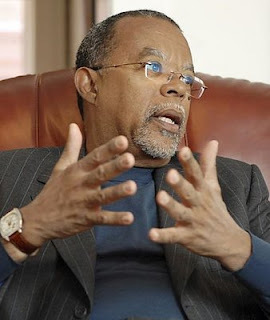 Henry Louis Gates was not the victim of racism, he was the beneficiary of it. And all the media's huffing and puffing about race in America cannot successfully transform a wealthy and prominent man who felt free to warn a police sergeant, "You don't know who you're messing with" into a victim. Gates' arrest elicited sympathy from Obama, not because Gates shares a race with him, but because Henry Louis Gates shares a class with him. Like Gates, Obama has cynically done his best to exploit a racial guilt that has nothing to do, not only with him, but not even with his ancestors, to provide cover for his arrogance and sense of entitlement. Like the collision between Obama and Palin, the collision between Gates and Crowley, was a blatant clash of class, not race. So too when Obama felt free enough to complain to his fellow upper class elitists at a San Francisco fundraiser about the middle class and lower class folks, "get bitter, they cling to guns or religion", it was not a racial complaint, it was a typically upper class liberal complaint. That same sense of class entitlement would feed the Obama campaign's fury against Sarah Palin for stepping outside her class, and proceed to portray her as ignorant white trash. So too Obama's media cult and Gates were eager enough to portray Crowley as thuggish and racist, only halting when they realized that their narrative had been disproven and was actually producing a backlash. When black officers blasted Gates and in turn Obama, it ripped away the mask of race, and revealed the underlying issue of class. It was no longer one white man and one black man, but the middle class hardworking police officers pitted against the wealthy and powerful Henry Louis Gates and Barack Obama. And that was a dangerous narrative, particularly after Obama had run up a tremendous deficit bailing out Wall Street banks and car companies. Obama's condescending gambit of a beer summit was meant to appeal to what he thought were the sensibilities of the middle class white men he had offended. Of course that in turn served as a forum for Elizabeth Gates, Henry Louis Gates' daughter to pen an essay snidely commenting on Crowley's daughter's eyeliner, "she was wearing an appropriately heavy and charmingly untrained amount of green eyeliner on her lower lashes", again a comment denoting a class putdown, rather than a racial putdown. In the famous photo of Crowley helping Gates walk, Americans may have seen compassion, but Gates only saw a lower class city employee providing service to a prominent civic figure. It is how Gates truly saw the conflict all along. While American liberals insist on exploiting the arrest to argue that race remains a serious issue for Americans, the fact that large numbers of Americans were willing to vote for a black man into the top post in the nation suggests otherwise. It is not race that haunts America, but class. Yet what class is Henry Louis Gates? Gates is not a captain of industry. He did not make money or gain fame inventing anything that people needed, or marketing a product that millions of Americans want. Instead Gates is a racial profiteer. A cleaner more academic version of Al Sharpton or Jesse Jackson, running an institute named after W.E. Du Bois, a well known Communist who supported virtually every atrocity the USSR carried out, and was even willing to back Imperial Japan's massacres in China, in the name of race. That is something which Gates has in common with Obama. Neither of the two men honestly came by their fame, fortune and positions. They came by them by exploiting racial guilt, not for any larger benefit, but for their own class standing. Behind all the twaddle about role models, is the elitism of two men, neither of whom have worked for a living, but who built up images of themselves as representing a race, in order to partake of the benefits of a class. The rise of Obama, like the rise of Gates, is a story not of race, but of political parasitism. It is also the larger story of an America in which hard work no longer matters, in which it is safe to sneer at the middle class values of a Crowley or a Palin, because they represent an old fashioned dedication to achievement and duty, that is no longer meant to be relevant in the "New America". In the "New America" you don't get recognized for hard work. You get recognized for being the squeaky wheel. For turning yourself into a brand. 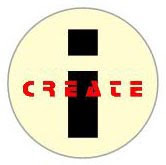 For finding an identity and marketing it for all you can. Race, gender, sexual identity, ethnicity are only counters in a larger game of media politics that everyone can play, but only a few can succeed at. It's not about the 9 to 5 anymore. It's about the 12 to 3 in a four day week. It's about the triumph over the middle class by people who excel at talking, but not at working. It's about playing divide and conquer with a multicultural America, certain that no matter how it goes, you will always pocket the winnings. It's not just about class, it's about the new class. The one that doesn't earn money, but has it transferred over from the coffers of the taxpayer. It's not about America. It's about the New America. It's about the Obama's America. And if you're "unfortunate" enough to still believe in hard work and doing your job as best as you can, you don't belong in it anymore. Here have a beer. Then help Henry Louis Gates, Jr, down the stairs. This picture has been circulating on the web today. I found it on an NBC website. While I'm sure that some people see this as appropriate in the "Royal Style," I see it as bad taste. 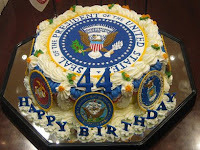 It is one more indication of Obama's desparate need to possess the trappings of importance. A couple months ago I saw a video where O was going for burgers and fries. The limo pulled up, he got in and the first thing he did was throw his feet on the seat opposite as would an unknowing or disrespting child. I was offended to see a 47-year old adult do such a thing. I'm one of the taxpayers that own that limo. I wouldn't want him coming into my house treating my stuff that way and I didn't like it he treated "my" limo that way. This attitude is endemic to his presidency, if not his life. What am I learning from all this? Disgust is more formidable than fear to move beyond. Government intervention in medicine is wrecking American health care. Nearly half of all spending on health care in America is already government spending. Yet President Obama's "reforms" will only expand that intervention. Prior to the government's entrance into medicine, health care was regarded as a product to be traded voluntarily on a free market--no different from food, clothing, or any other important good or service. Medical providers competed to provide the best quality services at the lowest possible prices. Virtually all Americans could afford basic health care, while those few who could not were able to rely on abundant private charity. Had this freedom been allowed to endure, Americans' rising productivity would have afforded them better and better health care, just as, today, we buy better and more varied food and clothing than people did a century ago. There would be no crisis of affordability, as there isn't for food or clothing. But by the time Medicare and Medicaid were enacted in 1965, this view of health care as an economic product--for which each individual must assume responsibility--had given way to a view of health care as a "right," an unearned "entitlement," to be provided at others' expense. The resulting system aimed to relieve the individual of the "burden" of paying for his own health care by coercively imposing its costs on his neighbors. Today, for every dollar's worth of hospital care a patient consumes, that patient pays only about 3 cents out of pocket; the rest is paid by third-party coverage. And for the health care system as a whole, patients pay only about 14 percent. Shifting the responsibility for health care costs away from the individuals who accrue them led to an explosion in spending. In a system in which someone else is footing the bill, consumers, encouraged to regard health care as a "right," demand medical services without having to consider their real price. When, through the 1970s and 1980s, this artificially inflated consumer demand sent expenditures soaring out of control, the government cracked down by enacting further coercive measures: price controls on medical services, cuts to medical benefits, and a crushing burden of regulations on every aspect of the health care system. As each new intervention further distorted the health care market, driving up costs and lowering quality, belligerent voices demanded still further interventions to preserve the "right" to health care: from regulations mandating various forms of insurance coverage to Bush’s massive prescription drug bill. The solution to this ongoing crisis is to recognize that the very idea of a "right" to health care is a perversion. There can be no such thing as a "right" to products or services created by the effort of others, and this most definitely includes medical products and services. Rights, as the Founders conceived them, are not claims to economic goods, but to freedoms of action. You are free to see a doctor and pay him for his services--no one may forcibly prevent you from doing so. But you do not have a "right" to force the doctor to treat you without charge or to force others to pay for your treatment. The rights of some cannot require the coercion and sacrifice of others. Real and lasting solutions to our health care problems require a rejection of the entitlement mentality in favor of a proper conception of rights. This would provide the moral basis for breaking the regulatory chains stifling the medical industry; for lifting the tax and regulatory incentives fueling our dysfunctional, employer-based insurance system; for inaugurating a gradual phase-out of all government health care programs, especially Medicare and Medicaid; and for restoring a true free market in medical care. Yaron Brook is the executive director of the Ayn Rand Center for Individual Rights in Washington, D.C. ARC is a division of the Ayn Rand Institute and promotes Objectivism, the philosophy of Ayn Rand--author of Atlas Shrugged and The Fountainhead.